Steve supports a number of charities in the UK and abroad. He is an ardent conservationist and believes that getting kids outside at an early age is vital to encourage them to love nature and the environment. The Berks, Bucks and Oxon Wildlife Trust protects wildlife and enhances iconic landscapes across our three counties. We look after 86 nature reserves, run events, speak up for wildlife and inspire thousands of children to discover the joys of the natural worlds. The Manta Trust takes a multidisciplinary approach to the worldwide conservation of manta rays and their habitat through robust science and research, while raising awareness and providing education to the general public and community stakeholders alike. World Land Trust (WLT) is an international conservation charity, which protects the world’s most biologically important and threatened habitats acre by acre. Since its foundation in 1989, WLT has funded partner organisations around the world to create reserves, and give permanent protection to habitats and wildlife. Buglife’s aim is to halt the extinction of invertebrate species and to achieve sustainable proportions of invertebrates for future generations. Buglife researches what bugs need and then campaigns so that everyone will understand the importance of looking after biodiversity as a whole, and what we can each do to help. Buglife helps to save threatened populations, restore wildlife habitats and tell everyone why invertebrates matter. We think Britain is out there. Waiting for you. It’s one size and it fits all. In it, you can find yourself and you can lose yourself. We launched the #GetOutside campaign to inspire people from all walks of life and all ages and abilities just to spend a little more time outside their four walls, wherever they live. Bite-Back Shark and Marine Conservation is a UK charity that's busy running three high profile campaigns 1) to make Britain the first country in the world to ban shark fin soup 2) to eliminate retail opportunities for shark products and other threatened fish species and 3) to end the 20kg personal import allowance of shark fins to Europe. Established in 1997, the Shark Trust is the only UK registered charity working to advance the worldwide conservation of sharks through science, education, influence and action. The Trust is an effective and well respected advocate for shark management and protection, undertaking a range of projects, campaigns and policy work to ensure the survival of this integral apex predator of our oceans. 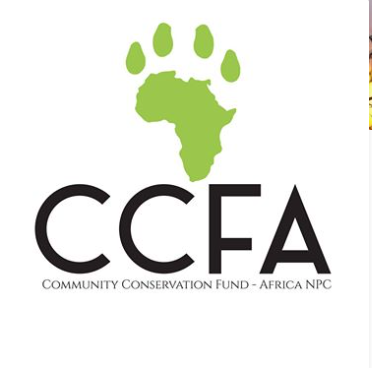 The CCFA acknowledges the key role played by rural communities and plans to establish a forum that serves as a platform for communities to participate and contribute directly to the discourse on development and biodiversity conservation. The CCFA together with the wildlife partners explores sustainable conservation ideas and strategies to achieve biodiversity. Set in a unique riverside location near Marlow, Buckinghamshire, Longridge provides a range of exciting water sports and land-based activities aimed at young people of all abilities. As well as 12 acres of beautiful water meadows we have our own island, ‘Taylor Island’ for the ultimate swallows and amazons experience. Taylor island also gives us a sheltered backwater in which young people can experience the river with confidence. Originally founded in 1982, the Young People’s Trust for the Environment is a charity that aims to encourage young people’s understanding of the environment and the need for sustainability. We want to give young people a real awareness of environmental problems, such as climate change, the pollution of soil, air and water, the destruction of rainforests and wetlands, the spread of desert regions and the misuse of the oceans.